X5SW RC Drone Built-In HD Camera and Electronic Compass, WIFI real time transmission for videos and photos between built-in camera and mobile attached on remote controller. 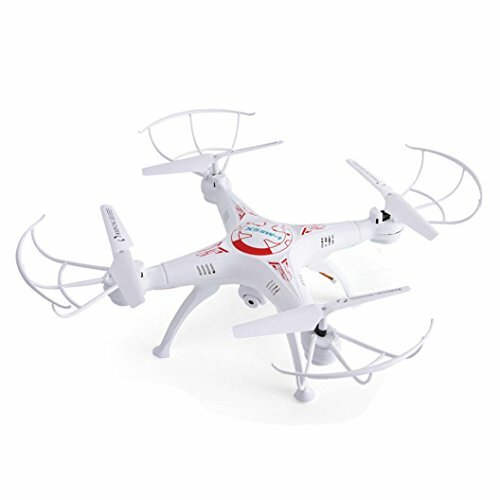 Both of Android mobile phone and Apple IOS mobile phone are applicable for this FPV drone (programme is available for downloading and installation). 2.4GHz technology adopted for anti-interference. Allow to fly up to 20 pcs at the same time without interferance with each other. Function: up/down, left/right sideward fight, forward/backward, turn left/right, with gyro/flash lights, A 360-degree 3D and special functions(continuous rolling), real time transmission of video and photos.